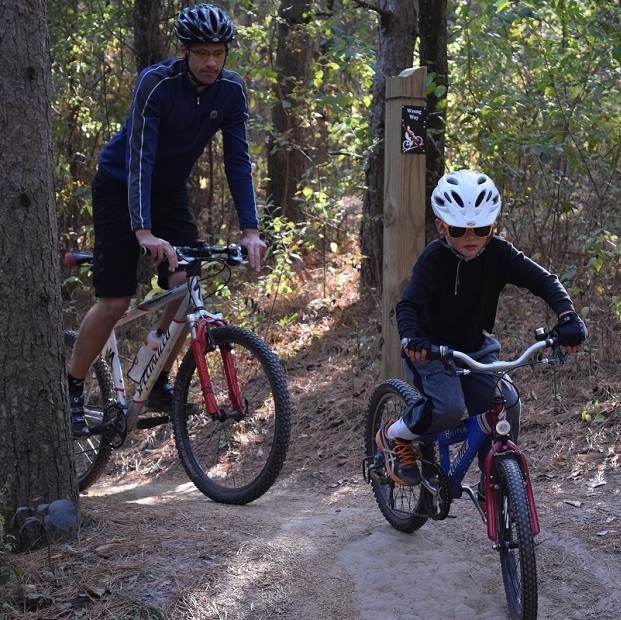 Here a father and son are out on a Mountain bike trail enjoying some quality time together. Photo taken on a trail near Lakeville, MN – A great place to bond with your kids in 2016! This entry was posted in Uncategorized and tagged #FindYourNextAdventure, #onlyinMN, Bike Trail riding, family mountain biking, MN trails, MORC, sharing bicycle memories on December 31, 2015 by Russ Lowthian.